A newsletter is an essential part of the marketing industry. To reach out to your potential customers it is a prerequisite that you send newsletters. It advertises and promote your brand and informs the customers about the place you stand. There many types of newsletter templates which are available online. 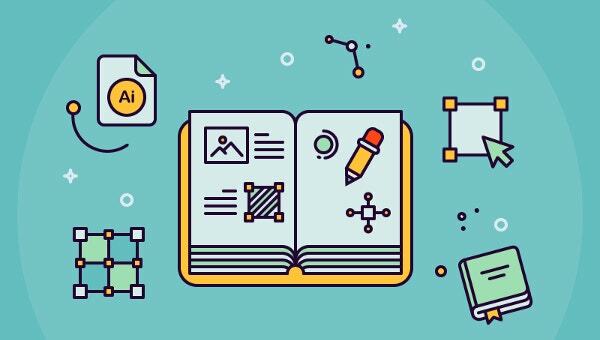 Through this post, we will tell you top 15 Amazing Business Newsletter Templates for free to Download. These designs are exclusive and trending with its style, look and fashion. 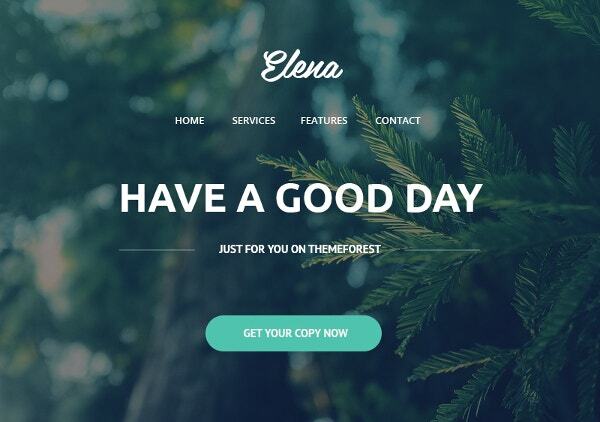 You can also see Best Newsletter Templates 2016. 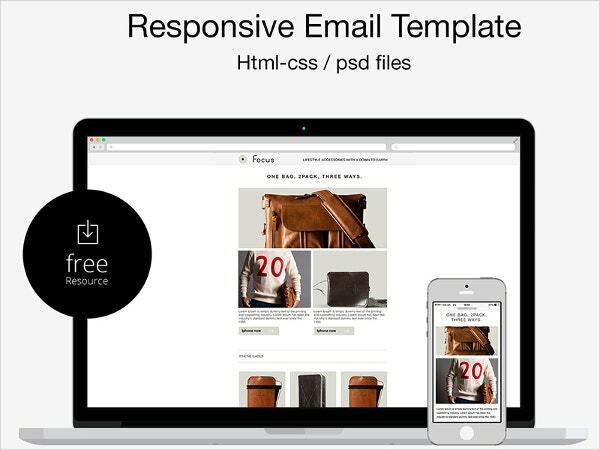 This particular Email template is a Free PSD/HTML Responsive Email Template. It is designed by Marco Lopes and has been tested on Litmus and iPhone. You can customise this newsletter as per your needs and it has PSDs, CSS and Open source HTML. 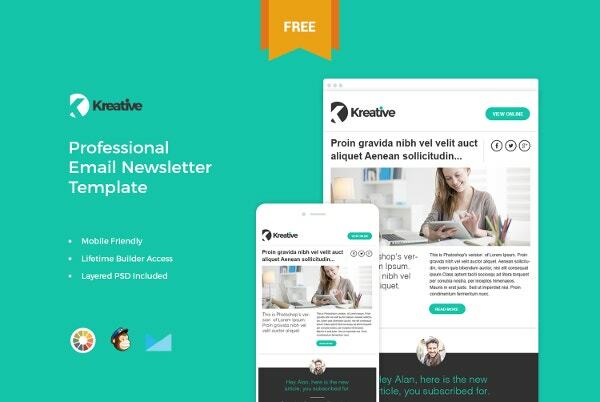 Kreative – Free Email Newsletter Template is just apt for sending newsletters with the help of this newsletter. You can update and inform your customers about your business and it is a professional newsletter which is responsive. 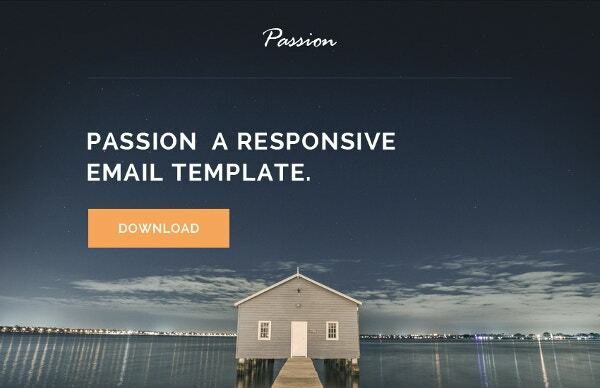 Passion Responsive Email Template is the another responsive HTML template. It can be used multi-purposely and it comes with a big sized image, action buttons, gallery and quote section etc. it is tested and works on all the devices including Gmail, Outlook, Yahoo etc. 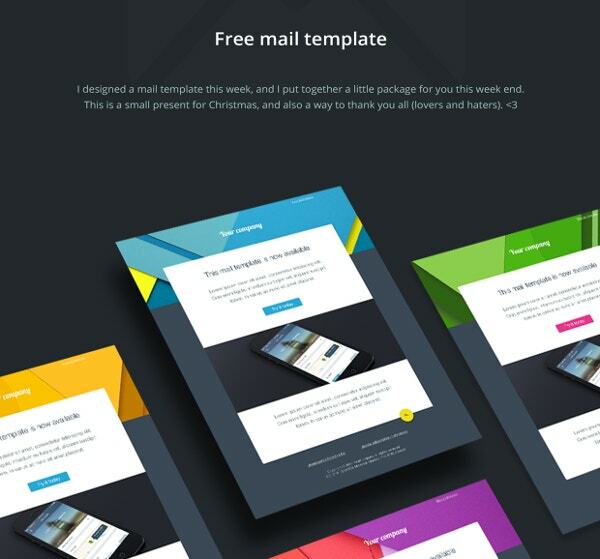 This Email template is designed by Aurélien SALOMON. He gifted this beautiful template to the users for free on Christmas. The Email template looks promising and has a good feedback from the users. 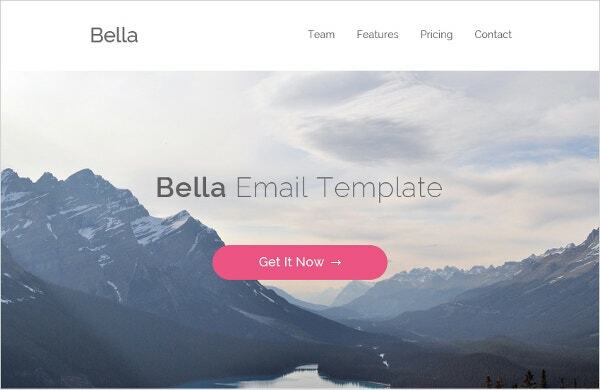 Bella PSD And HTML Email Template is the another free template from pixel hint. Click on the link below to direct to the download. 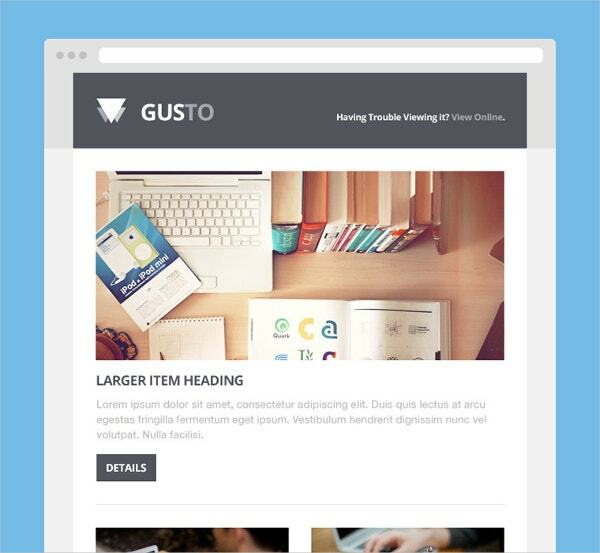 Gusto Email PSD template is a trending template which has different content options. It can also be customised in the Photoshop. This is an apt newsletter for starting a fresh newsletter campaign. 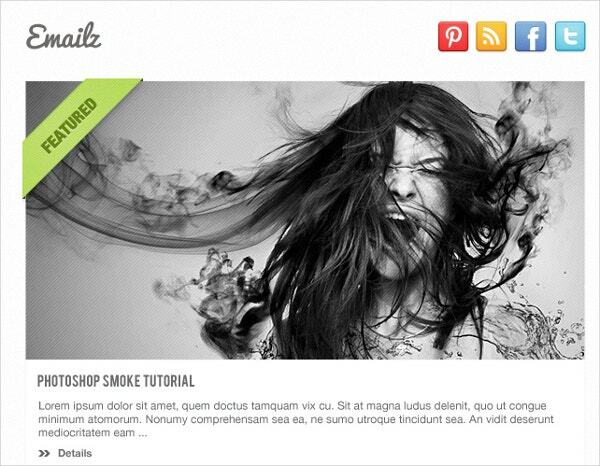 Emailz PSD theme is a fresh theme for newsletter designing. It has a 5 different designing variations. The feedback on this PSD theme is good and worth a download. 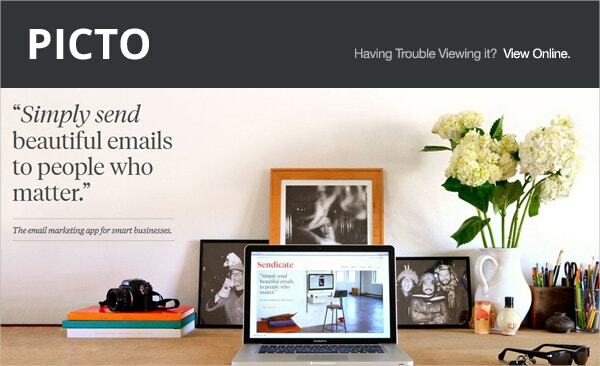 Picto believes in sending mails to people who matter. It is a simple online newsletter template and has also won the award for its web application. It is customizable in Photoshop and can be used for a new campaign. This is a trending newsletter which is quite popular. It comes with the layered PSD file. It is a responsive template. 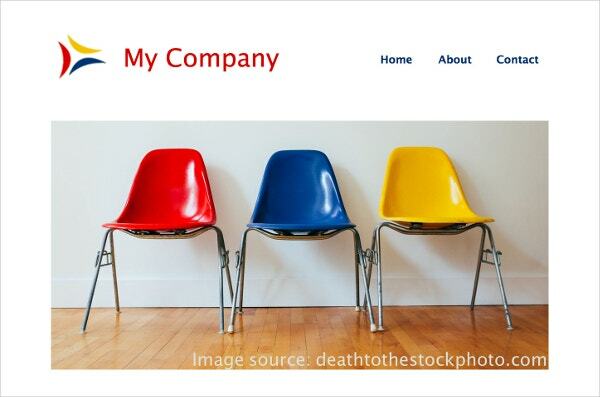 This template is a colorful template through which you can promote your business. You can use your own pictures to send or simply browse through their stock. A must for the websites who are dependent upon apps. Are you looking for a template which can showcase your restaurant? This one is best for you. Have a look and download it. 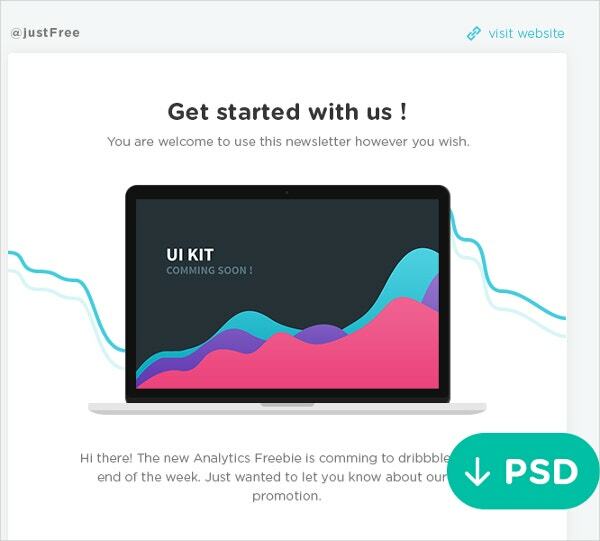 Newsletter Freebie PSD is a multi-purpose newsletter template which can be used according to your needs. It is designed by Balkan Brothers. Click on the link below to download this cute package. Found it interesting? 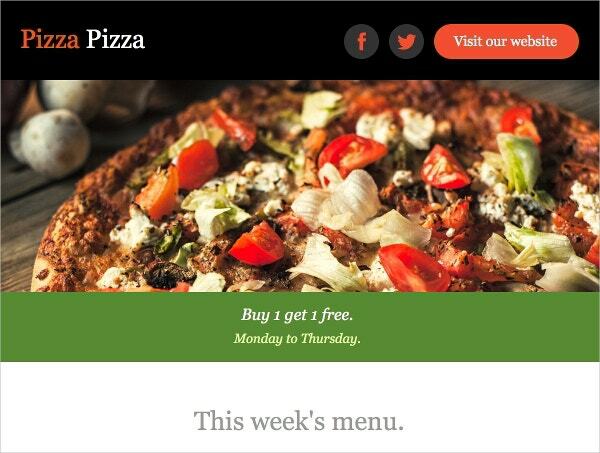 These were the Top 15 Amazing Business Newsletter Templates to Download for free. If you are planning for a fresh newsletter template you can opt the best one according to your business type.